Shaw Contract believes that innovative design can change the way we live, work, think, and create. As a global design leader, its commercial ﬂooring is engineered for beauty, durability, and cradle-to-cradle sustainability. The Shaw Contract design team immerse themselves in research and embrace the process of design discovery. They journey the globe, seeking cultural shifts, awakening senses, and searching for beauty in the unpredictable. Shaw Contract values purpose and authenticity, in both practice and commercial flooring products, by collaborating in smart, meaningful ways to improve how people work, learn, heal and live. Driven by environmental stewardship and social responsibility, Shaw Contract design with future impact in mind. As the largest carpet recycler in the industry and the ﬁrst ﬂooring manufacturer with cradle-to-cradle certiﬁed products, the company leads through innovative, sustainable practices that are safe and sustainable for all who use its products. 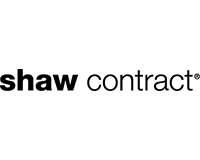 Shaw Contract chooses to be positive; to be mindful of people and the planet; to make products that look good, act good, and make the world a better place. Maintenance, installation, pattern, backing, construction, dye method and ﬁbre all impact carpet performance. That’s why Shaw Contract manufactures with the highest quality ingredients and gives you peace-of-mind with lifetime commercial warranties from a company with lifetime stability. Shaw Contract products are installed in more than 80 countries. With showrooms, sales ofﬁces and manufacturing facilities around the globe, it offers the widest array of products for a global community. Shaw Contract is part of the world’s largest carpet recycler, yarn extruder and carpet manufacturer, Shaw Industries. They combine the expertise of the world’s largest carpet manufacturer with the financial stability of a Berkshire Hathaway subsidiary.